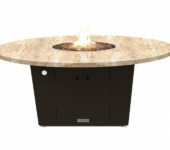 The Olympic Fire Pit Table is an Elegant and Tranquil Addition to your Outdoor Living Space. 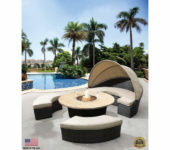 The Olympic fire pit table features a round granite top 55 inches in diameter, which can easily accommodate a group of six for dinner and drinks. 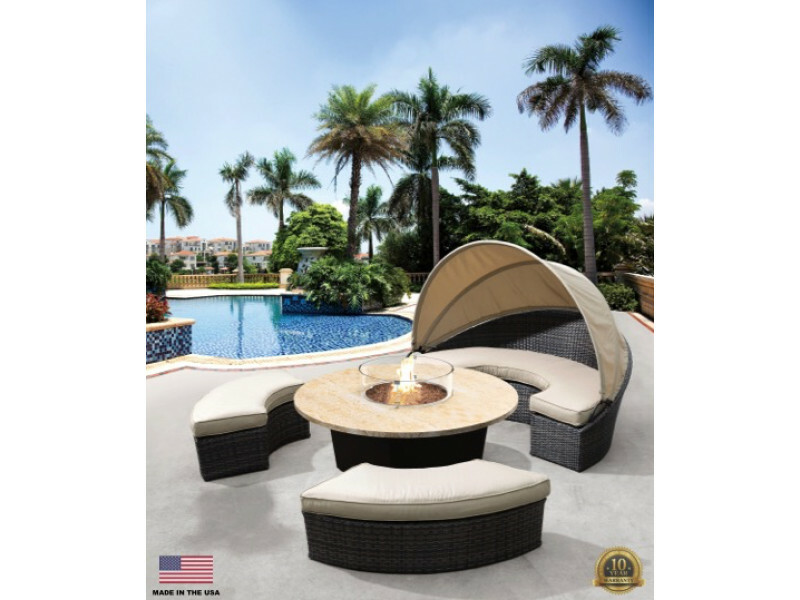 All SoCal Collection fire pit tables may be ordered to operate off propane or natural gas and come standard with an access door to conceal a propane tank as well as a match lit ignition system. Popular options are available at check-out including a round glass wind screen and tailored cloth cover. 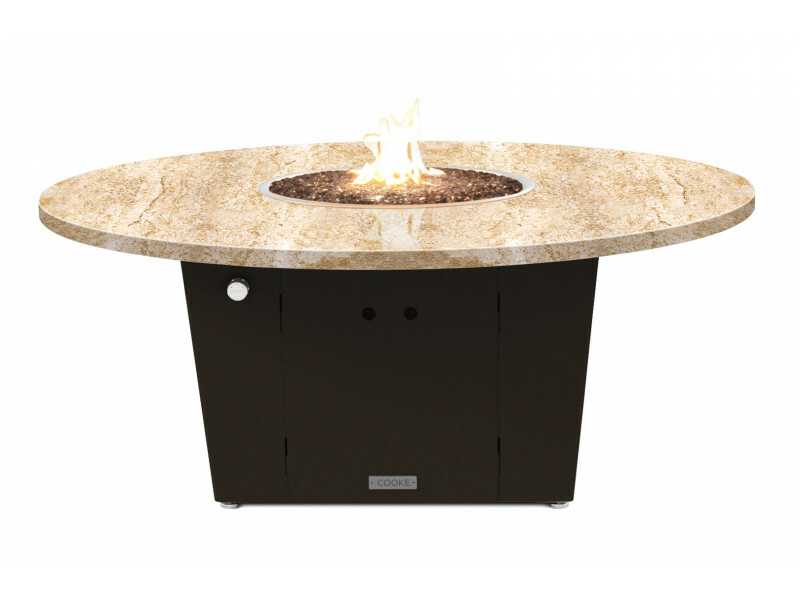 Our Olympic fire pit tables boast a 14-gauge aluminum base base and 1.25 inch thick granite slab top. Our SoCal Collection is made by us in California using precision CNC bending and laser cutting technology for impeccable quality and style. Click here to buy now!